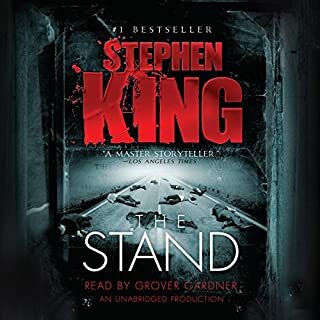 For the first time in unabridged audio download comes the perennial classic from Stephen King - timeless and topical. The house looked right, felt right to Dr Louis Creed. Rambling, old, unsmart and comfortable. A place where the family could settle, the children grow and play and explore. The rolling hills and meadows of Maine seemed a world away from the fume-choked dangers of Chicago. Only the occasional big truck out on the two-lane highway, grinding up through the gears, hammering down the long gradients, growled out an intrusive threat. But behind the house and far away from the road: that was safe. Just a carefully cleared path up into the woods where generations of local children have processed with the solemn innocence of the young, taking with them their dear departed pets for burial. Tough in parts, loved the description of normal life before the horror strikes. quite short for King and all the better for it. Loved it. Best audio book on the market. Really brought to life by Michael C Hall. I bought this audiobook because of the rave reviews. I wanted to like this book but halfway through the book, the story still didnt pick up and I decided to just return it. The narrator is great but the story was disappointing. 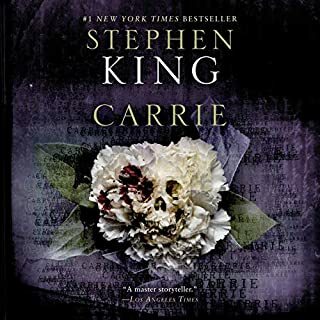 In the foreword to this book King describes it as the scariest book that he has written because he feels that the story crosses a definite line going places where few stories, particularly at the time dared to tread. So much so in fact that he debated for a long time whether to even publish it. In truth, he has a point. After a lot of careful build up the final third or so of this book contains as nightmarish journey as King has sent any of his characters on. And two of those characters really stand out. Lewis Creed, a decent yet imperfect family man and his growing friendship with the older, almost father incarnate that is Jud Crandall will likely have you warming to the two men and their families. All well and good but this is Stephen King and if he had any similar warm feelings for his characters it doesn't show. This is King at his most visceral, the dark nails of his writing scraping at sacred relationships such as those between children and their pets and parents and their young children. If you think you are sensitive to such things being subjected to the evils a master horror story teller can inflict upon them then you have been warned and just possibly a pause for thought might be in order before you decide to try this one. But it is after all just a story and you can stop reading it anytime, it's not going to possess you or anything. I never stopped, I kept on reading right to the end, but only because I wanted to, I could have stopped any time I wanted . . .
One of the all time best horror stories ever written. Michael C Hall’s narration is excellent, especially his mastery of Judd’s Maine accent. 5 stars all round. I have realised i am going through King's books one after the other. Pet Semetery is by fair away the best one yet. And there are some big contendors for the title. It is a text book example of King. It builds towards its conclusion, layer by layer throughout the book. Don't read any in depth reviews. You run the risk of spoilers. Go into the book with little to no preconceptions. Enjoy. Micheal C Hall is superb. It was an excellent choice to have him read this book. Spot on. Over the last 25 years I have read a zillion horror books. Two zillion maybe. 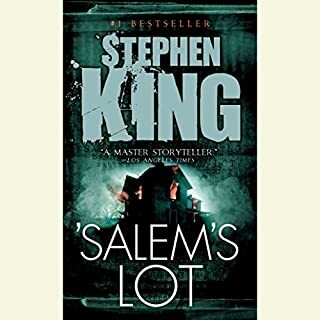 This was written in Stephen Kings golden age for horror, he's still good but his writing is broader now. Anyway, there is loads of awesome horror books but this is right there at the top of the heap. It's so human and well observed, it's such a good concept and it's so well dealt with you can recognise a bit of yourself in Lou. You know when you have a favourite band, and they start good, then peak for a couple of albums and then stay good but lose the genius? 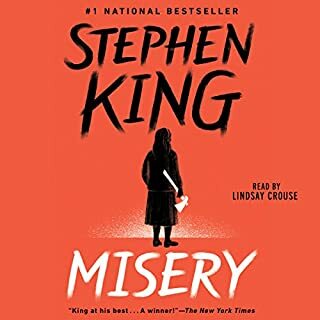 This is Stephen Kings couple of albums, this, Misery, shining, the stand etc. Just get it and listen to the book where Mr King felt he had finally gone too far. 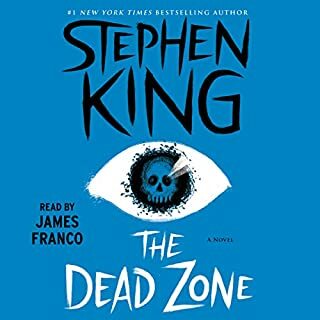 I have wanted this book to come to Audible for a long time now. Listened to it in two days & loved every minute of it, definitely worth the wait & Michael C. Hall's narration was superb. Highly recommended for any constant reader. The novel is very good and the ending was so captivating I spent all my time at work counting down the hours so I finish it. Gave me the chills listening to this in audio! Very freaky listening in the dark. This was a very creepy and disturbing book! I gave it a 4 star rating because I felt the beginning of the story wasn’t that appealing/exciting to me, but the last half of the story was brilliant!!!! Chilling, and exceptionally narrated by Michael C Hall. Beautifully written. Once heard never forgotten. Magnificent! I loved it and Michael C.Hall was brilliant as the narrator. Would recommend this highly. Like wow. The most freakiest book i have ever read. Read many horrors stories before but this one had been the most weird. This also answer a lot of question from the film that may not of made much sense. Fantastic story. Love the old guy. I read this book years ago when I was in school. But as a father to a 2-year-old boy now, I found it particularly terrifying this time around. King has an Author’s Note at the beginning. In it, he says that whenever someone asks him the scariest story he has written, he always responds with “Pet Sematary” without any hesitation. The reason isn’t a typical one, and I think you need to be a parent to fully grasp the horror of what happens in the book. The story is solid, even though it drags a little in some spots. But it contains all the classic King elements of mystery and supernatural horror. And it’s the narration by TV’s Dexter, Michael C. Hall that makes this audiobook stand out. His steady voice oozes character, especially with the character of Jud Crandall. He does a great job of nailing the old man’s Maine accent and makes it seem effortless. Firstly, Michael C. Hall is now my favorite audible narrator, absolutely brilliant and perfect for the book. I loved the story as well, classic Stephen King. 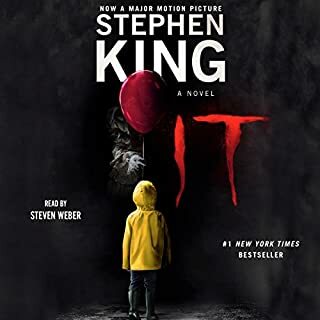 I would recommend this book as I would recommend any book written by Steven King. The ending is... huh? I want more. for the very first novel I've listened to on Audible I am very pleased. I really enjoyed the narrator and it was easy to listen to. This is also the first novel I've ever read by Stephen King and I'm in love with his writing already. The story had an amazing flow to it and I never found myself bored or uninterested. I loved the characters, their backstories and developments. Please read it if you have the chance, I definitely recommend it. maybe the best performance I've listened to - Michael c hall is brilliant. the story is a consise and very effective horror. the performance maybe even elevates it. A dark rollercoaster. Be prepared to be kicked while you're down... and to love it. Tight written story. Orator was great, well paced with no music to ruin the effort. Will read again. A fantastic exploration in coping with grief and the death of a loved one. King is masterful in his tale of the fate of Louis Creed. Definitely pick this one up! I originally bought this book, as I am a big fan of Michael C Hall and saw he was the narrator. 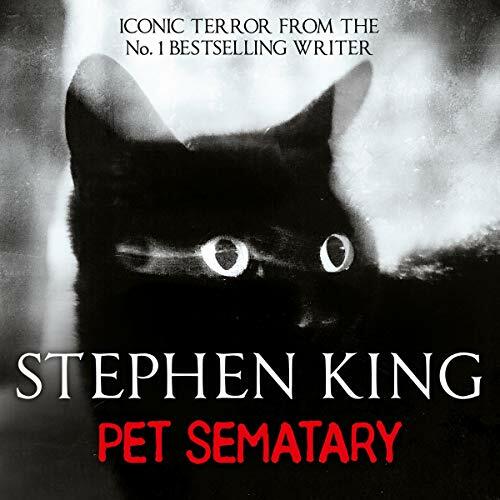 What other book might you compare Pet Sematary to, and why? I enjoyed reading 'The Shining' as a teenager, and had forgotten how scary Stephen King's books could be. Michael C Hall effortlessly creates the tension required to keep you hanging off his every word. If he were to narrate other Stephen King books, I would happily purchase them all.